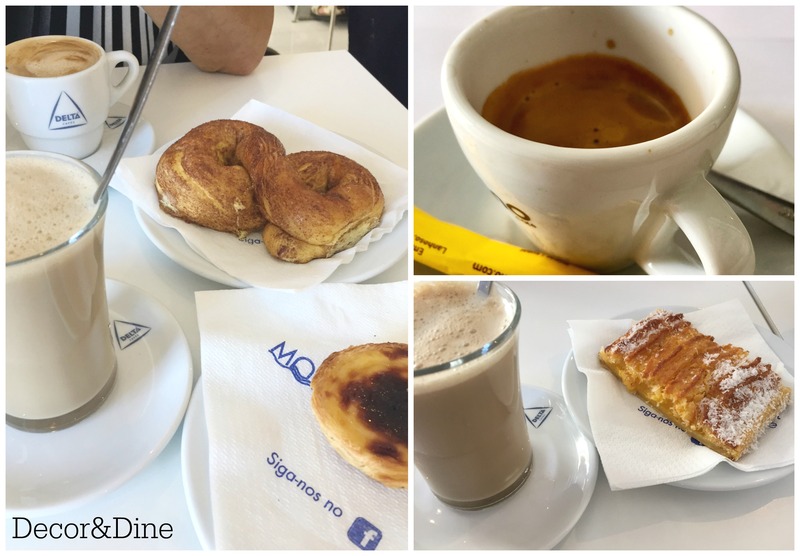 I was totally spoiled on my recent trip to Portugal. 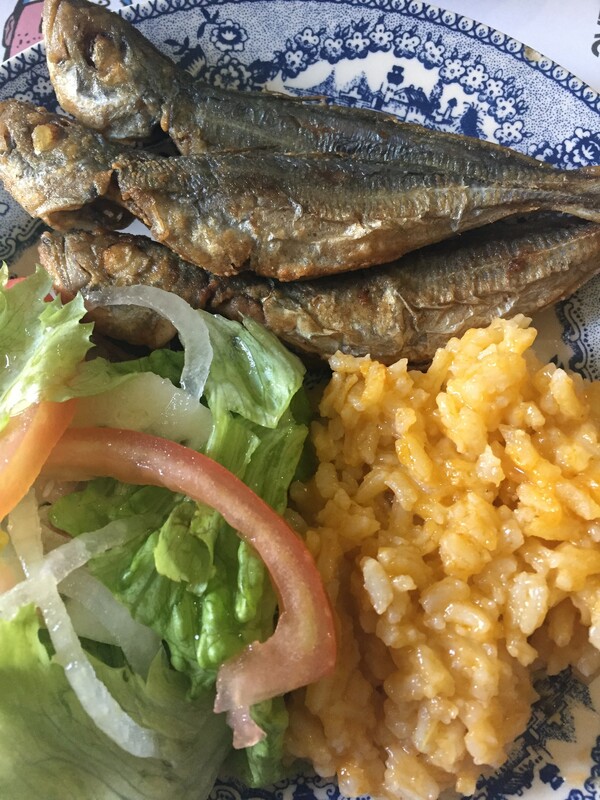 From delicious restaurant dishes to homecooked meals made by loving family members. My food experience this year was extraordinary. Here are some of my favourites…by the way…I gained 10 pounds in 3 weeks. 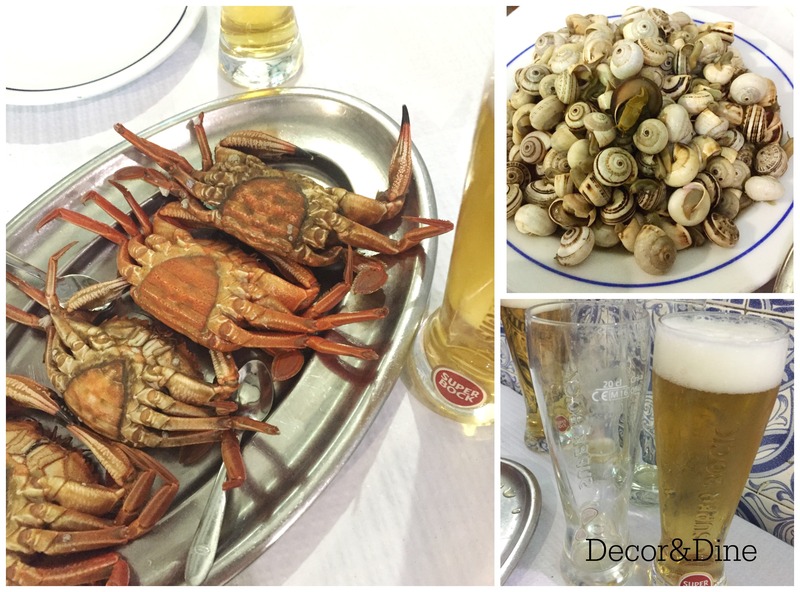 Crab, snails and beer…OH MY!!! Every meal always starts off with appetizers. 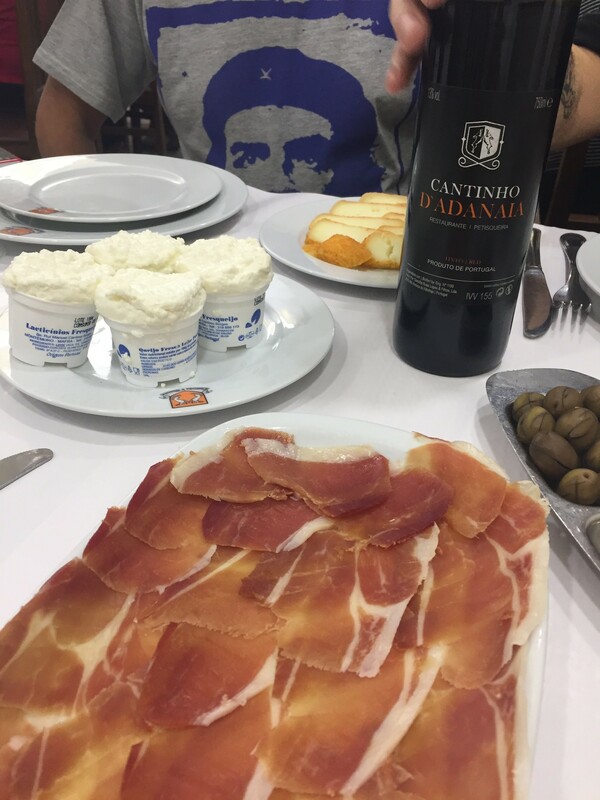 No Portuguese table is without bread, cheese and olives…MY WEAKNESS! This in fact can be my whole meal. Let’s not forget the wine. 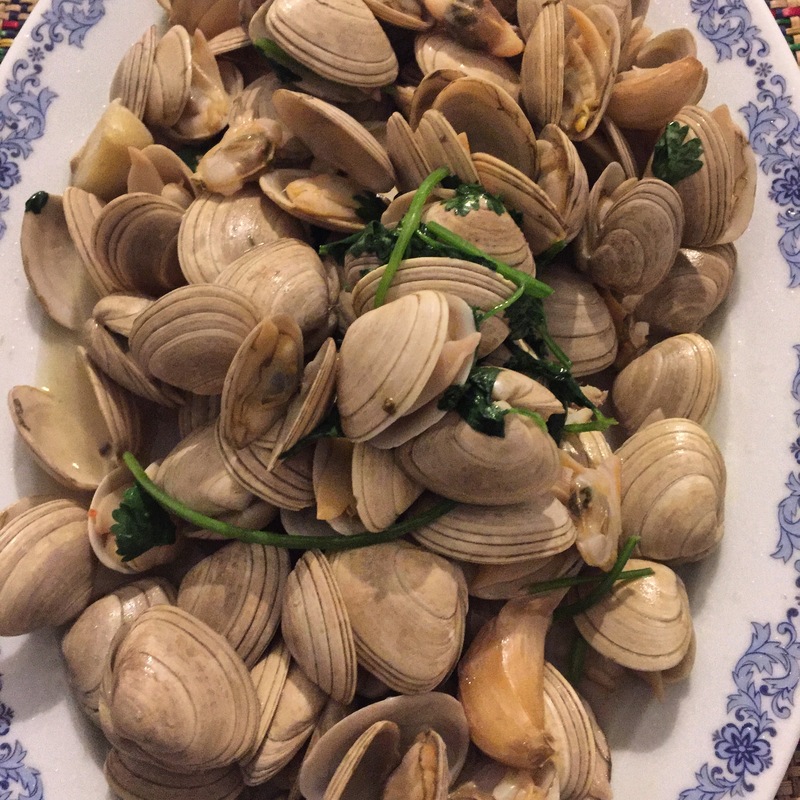 But then again how can you stop at appetizers when you are offered a plate of clams swimming in wine sauce. 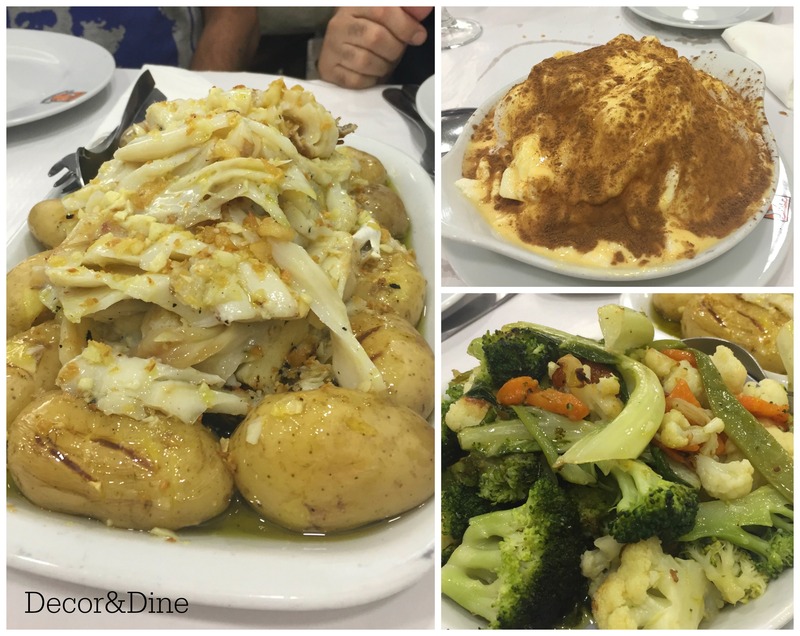 …or delicious Cod with potatoes and sautéed vegetables followed by Farofias, a heavenly egg white and cream dessert. 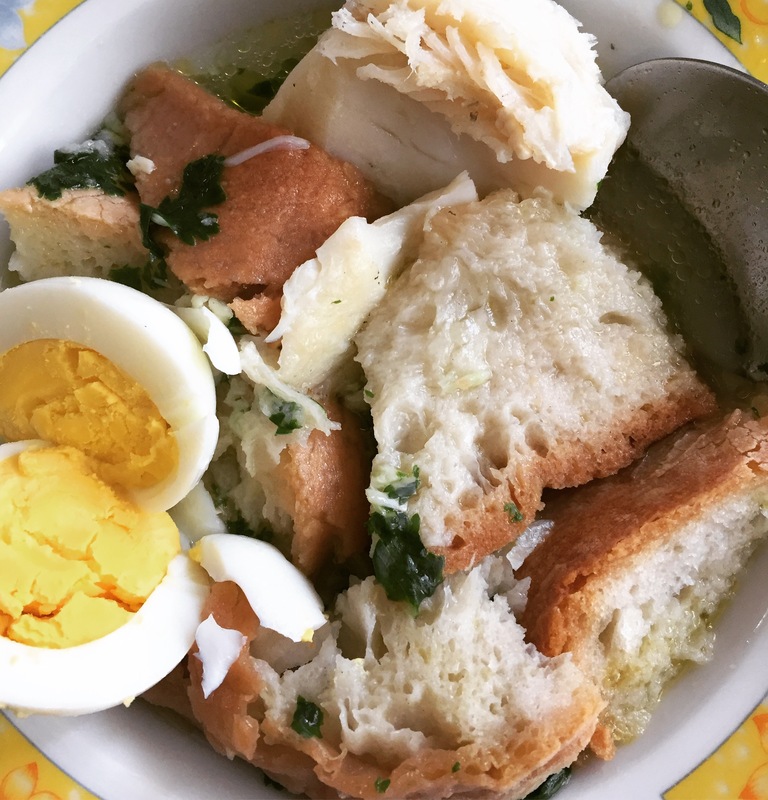 While visiting a cousin I was treated to an old time childhood favourite dish of Acorda (cod-bread soup). It was fun to watch her prepare this meal. Be sure to come back for the full recipe. 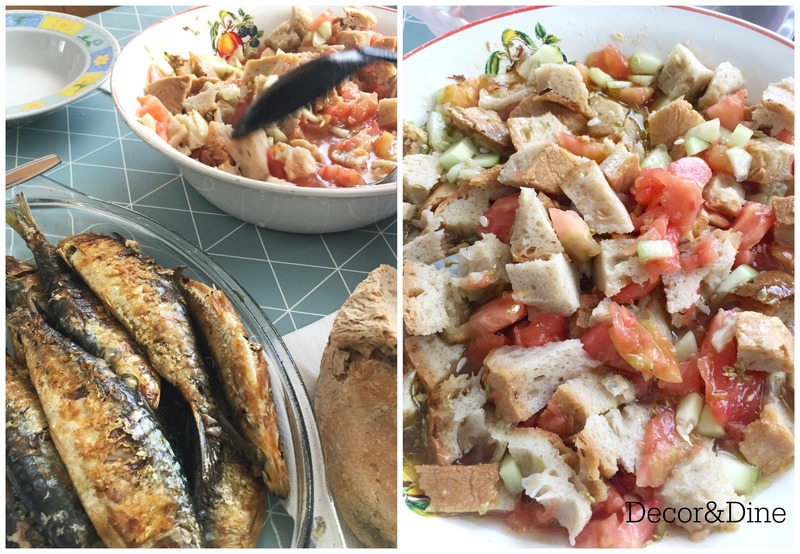 Lucky for me…I returned the following week for a lunch of grilled sardines and Gaspacho! Another childhood favourite. 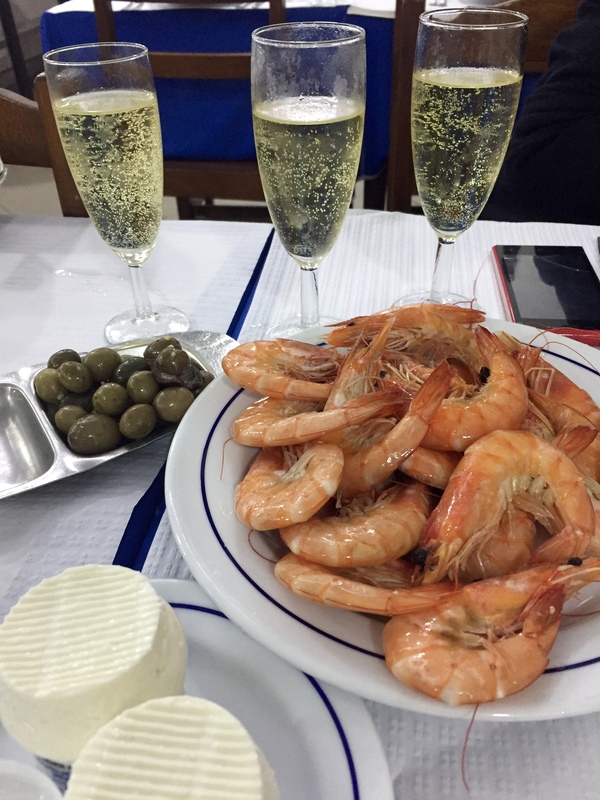 What do you have when you are in Portugal and not getting to dinner till 10 p.m? After having our regular appetizers we decided that a plate of shrimp with sparkling white wine would suffice. 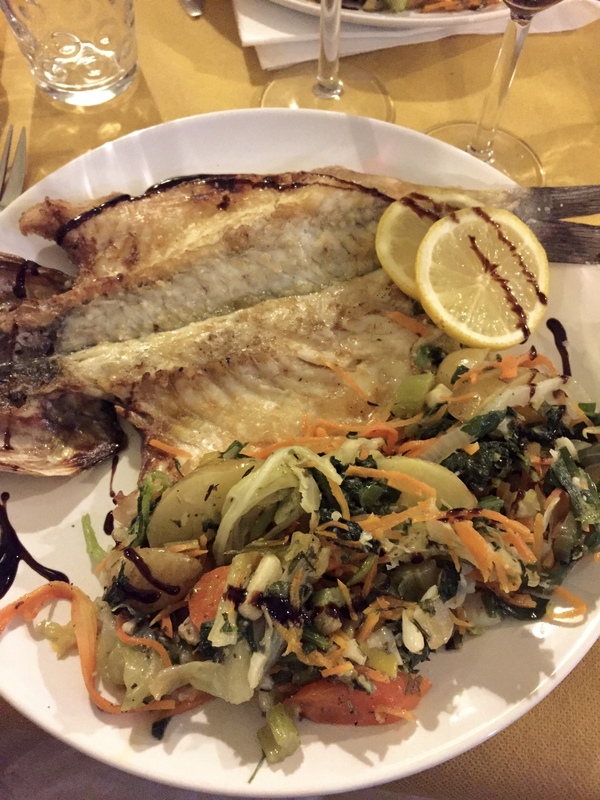 Another must have fish when visiting Portugal is grilled Dourada. Some restaurants serve it with potatoes, others with rice, but the restaurant I went to served it with a medley of vegetables. No meal is complete without dessert…and let me tell you there is no shortage of choices. 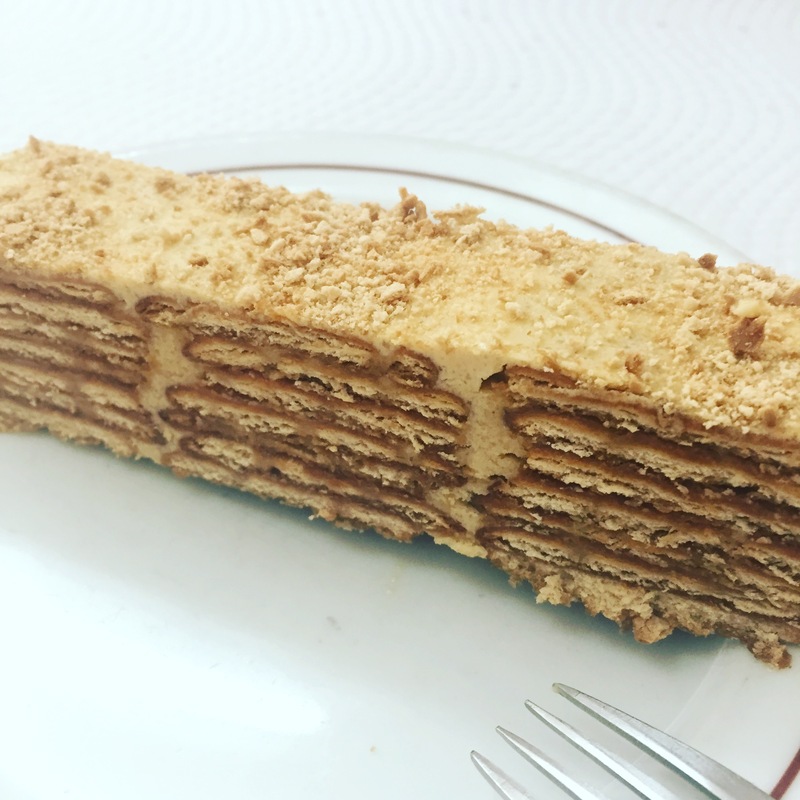 This Bolo de Bolacha (cookie cake) is just one of many options. In fact I have a similar recipe for this Cake…here it is! I must mention that dessert can also be fruit that is in season. I was lucky enough to get there when the figs were ripe. 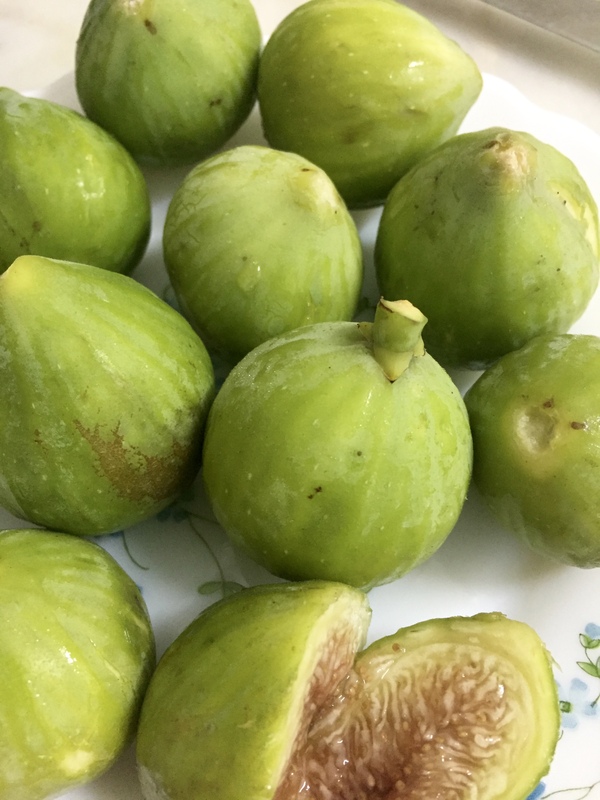 How lucky can a girl be when a friend goes out to pick figs from her next door neighbour to satisfy my craving. LOL!! Even if you skip dessert…there is always coffee!! There was coffee for breakfast, an espresso (cafe) after every meal and my favourite galao at “lanche” (5 p.m. snack)! Thanks Jennifer,it was fabulous!! It was great to see old friends and so many family members that I had not seen in a long time. The weather was fantastic as was the food.